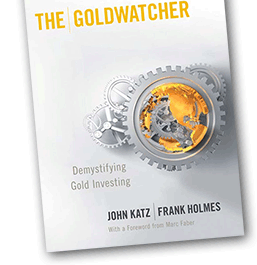 The Goldwatcher was published in 2008. Within a few months after publication The Lehman Brothers liquidation and the Global Financial Crisis folIowed. Since thenThe Goldwatcher blog has been more and more about geopolitics and macroeconomics and less and less about gold. The Goldwatcher blog published from 2007 to late 2014 was corrupted in the course of a software download. Previous Goldwatcher postings will be included in this blog as soon as the website is restored. This new Goldwatcher blog will initially headline news and comment on matters affecting supply and demand for gold and the gold price. Commentary and analysis on both sites will follow when the book on moneyprinting I am presently writing reaches the editor.